How many solar panels do I need? 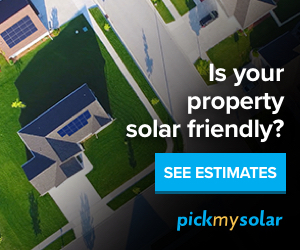 Get a personalized solar report to find out! With the development of online solar tools/solar maps, any business owner can be able to determine whether going solar will make any economic sense while inputing very minimal data. All that is needed is location and an estimation of your current energy bill. Solar online tools have simplified the need to call solar developers during the preliminary stage of the solar project. At this stage, you probably don’t need to call solar developers because you can make an estimation whether going solar is worth it based on specific data sets that can be figured out using these tools. The following are some aspects of going solar that you might want to consider to help you determine or decide whether going solar is a preferred option for your commercial building. Solar online tools will provide you with your solar energy potential or solar yield that can be generated on your rooftop. These tools will give you solar financing options, including leasing, solar PPA, solar loans and cash options. Each of these financing options will provide you with their estimated savings over the lifespan of your solar panel hence allowing you to make a judgment based on estimated savings to be achieved in the long-term. Also from the personalized solar reports generated after inputting your details, you can capture your current energy requirements with your current utility rates versus future rates when solar is included can be generated to help you determine future energy savings. Financing options with each one presenting you with estimated savings potential. How many solar panels do I need? Get your personalized report and find out the other details that will help make a more informed decision even before you consult solar developers. Get started now.